The countdown to Christmas has officially begun and we have been inspired by the sights and sounds of the season this week on our Pinterest boards. 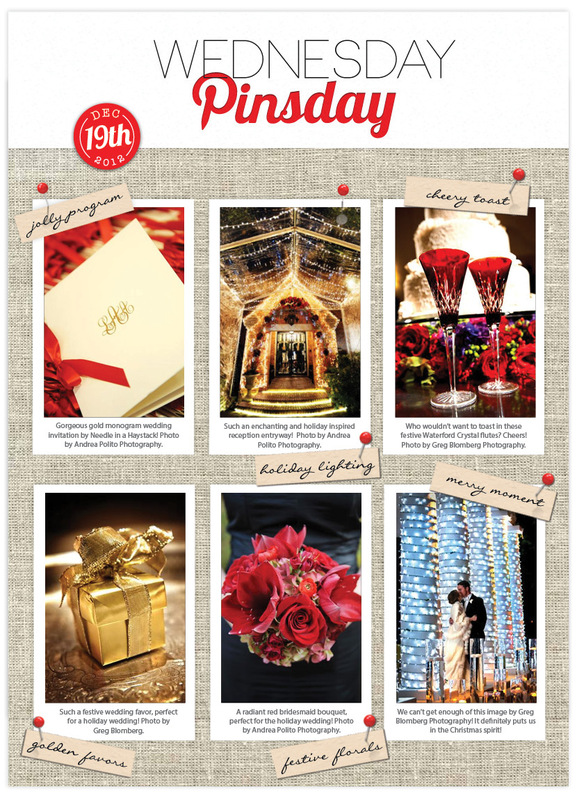 We have collected some of the most beautiful holiday wedding pins from our fabulous team of North Texas wedding vendors for you to enjoy! So grab a cup of egg nog, have a sugar cookie and feast your eyes on these inspiring ideas! Merry Christmas! Cheers!